Nearly 25 years ago, Karen King and Tim Leigh celebrated a ribbon cutting to commemorate the opening of Leigh, King & Associates. 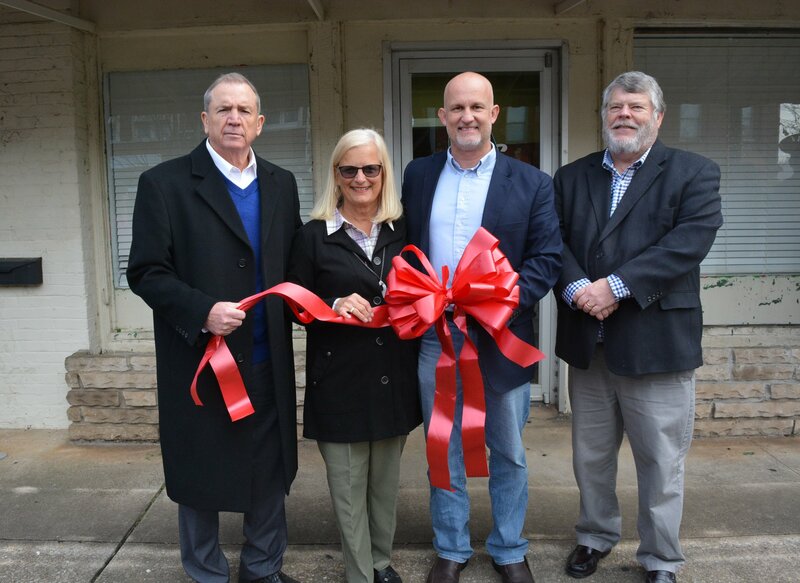 In 2019, the team has joined forces with CPAs Dennis Norton and an all-too familiar face in Tuscumbia, Mayor Kerry Bubba Underwood. Now merged as Leigh, King, Norton, and Underwood CPAs, this powerhouse team is ready to tackle your accounting needs in the Shoals! Tim Leigh (CPA) received an accounting degree in 1973 from Florence State University (now the University of North Alabama). After graduation, he went to work in his father's CPA firm. In 1978, he was made a partner in the firm. In 1995, he became a shareholder in Leigh, King & Associates CPAs. Tim is active in professional and civic organizations, including the Alabama Society of Certified Public Accountants and the Sheffield Kiwanis Club. Tim completed the Leadership Shoals Class and in 1998, he was named Accountant Advocate of the Year for Alabama by the U.S. Small Business Administration. Tim served on the Colbert County Commission in 2007-2008. Karen King (CPA) received her degree in accounting from Auburn University in 1975. After some time spent raising her children, she went to work for a local firm in public accounting. In 1990, she became the tax manager of the firm. In 1995, she became a shareholder in Leigh, King & Associates CPAs. Karen’s professional and civic involvement includes the Alabama Society of Certified Public Accountants, the Woodmont Academy of Fine Arts Board Member and the Shoals Chamber of Commerce, where she recently completed a term as Chairman of the Board of Directors. Dennis Norton (CPA) has vast experience in public accounting and in the industry as a Chief Financial Officer. His expertise is in the audit and investigation fields. Dennis’ early experience was with Cherry, Bekaert & Holland (a big 15 accounting firm) in Knoxville, TN. Dennis has an accounting degree from Western Carolina University. Kerry Underwood (CPA) graduated from the University of North Alabama in 1990 with a double major in accounting and CIS, later earning his CPA in 1998. Five years later, Kerry founded his CPA firm and started building his client base. In 2010, he opened his first office in Tuscumbia and has been growing his client base since that time. After being elected mayor of Tuscumbia in 2016, Kerry was challenged with running the city as well as his firm. Reaching out to friends and partners Leigh, King and Norton, who also understand the importance of giving back to the community, the group agreed to become a team and forge a new beginning together. While now in operation as Leigh, King, Norton & Underwood CPAs, you can still visit them at their same locations: in their Sheffield office at 603 East Second Street or in their Tuscumbia office at 102 N. Main Street. Together, this team is ready and willing to guide you through this year’s tax season, and still offer the same great services you’ve come to know over the years. Congratulations to the LKNU team on your new joint venture, and we wish you all the best during this tax season and beyond!